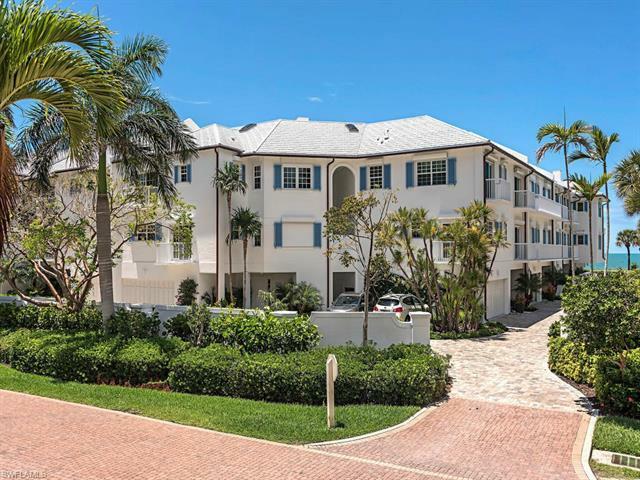 80 Seagate Dr #7, Naples, FL.| MLS# 219022095 | Bonita Springs, Estero, Naples, Fort Myers Beach FL Real Estate | Marie Pimm PA Realtor. Representing U.S. and International Buyers and Sellers in the purchase and sale of investment or personal property. Marie is a skilled 1031 Exchange Realtor. V.2844 - This is a very rare opportunity to own a spacious villa on the beach! Tastefully finished, 4BR/4BA home with over 3100 sq. ft. of LA looking directly at the Gulf of Mexico! Updated baths & kitchen, casual beachy decor and a brand new private elevator! Just a few steps away from your screened lanai, and your toes are in the sand! The graciously sized living, dining and master bedroom all have incredible Gulf views with over-sized sliding doors and the master bedroom has its own sun deck. Attached 2 car garage makes for an easy lifestyle. Two new HVAC systems, new hot water heater, recently replaced roofs and exterior renovations, including all new impact windows and doors, plus other improvements! This fresh, pristine property is a haven for beach lovers who want to enjoy the privacy of a single family home with the convenience of a well-managed and maintained condominium. This exclusive enclave of just 11 villa homes is nestled between Park Shore and Pelican Bay, behind the gate of Naples Cay. The nearby Waterside Shops, Artis Naples and Mercato will satisfy all your discriminating dining, shopping and entertainment desires. Step into this world-class lifestyle today!